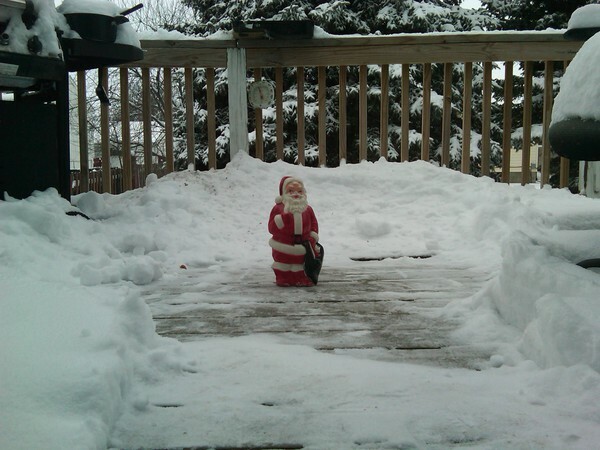 Click on image to see 13 inch Santa get buried by snow. Leann Rime visited Grand Forks Jan 19th 2010. « Did Someone Have Snooki In Mind When They Googled This? This is so much fun to watch! Sometimes I click on it a couple of times a day cause the snow is piling up here too! It was a most unusual Christmas!